Cookware, furniture and other products made from aluminum require special care to maintain their shine and remove rust and tarnish. Traditional cleaning products, while effective at cleaning aluminum, often contain chemicals that pose a danger to the environment and your family's health. Many natural products can be used to clean household aluminum with minimal risk to people, pets and the planet. Cream of tartar makes a simple and affordable cleaner for aluminum cookware, according to the Environmental Health Association of Nova Scotia, Canada. Mix 2 tbsp. of cream of tartar with 1 liter of water, and pour the blended mixture into your aluminum pots or pans. Place the pans on the stove and heat the mixture to boiling, then allow the pan to simmer for 10 minutes. Remove the pan from heat, then rinse and dry as usual. You can also apply cream of tartar to a damp cloth and use it to polish cookware or other aluminum objects. Rinse with a clean, damp cloth and dry to a polished shine. Lemons provide a natural cleaner and deodorizer for all types of aluminum objects. 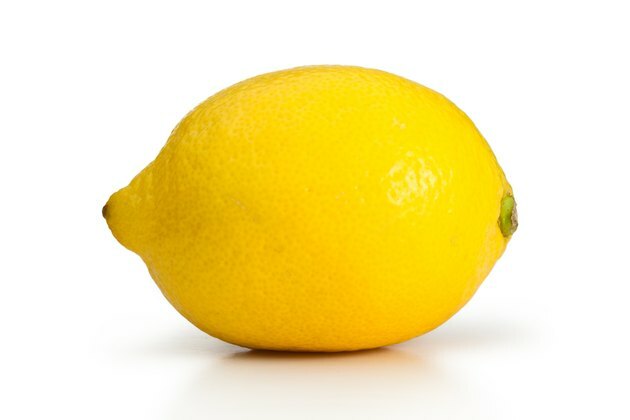 Consumer Reports suggests using straight lemon juice to remove stains or cut grease on aluminum pots, pans or furniture. Apply the juice to a damp rag, then wipe the object clean and rinse with water. Lemon juice also makes an effective tarnish remover for aluminum. To remove tough stains or heavy tarnish, sprinkle baking soda on a fresh lemon slice and rub it across the object like a sponge. Wipe clean with a damp rag then dry with a towel or polishing cloth. Vinegar offers a high degree of versatility for cleaning a variety of materials, including aluminum. The Michigan State University Extension recommends filling aluminum coffee pots with equal parts water and white vinegar. Bring the pot to a boil to allow the vinegar to remove scaly deposits naturally. For heavily scaled pots, boil the vinegar and water solution for an extended period. Rinse the pot with clean water to remove vinegar and debris before using. To clean aluminum furniture, pour a few cups of vinegar into a bucket of warm water. Dip a rag or sponge into the bucket and use it to remove grime or rust from furniture. Wipe with a clean damp rag when you're done, then dry with a clean towel or rag.